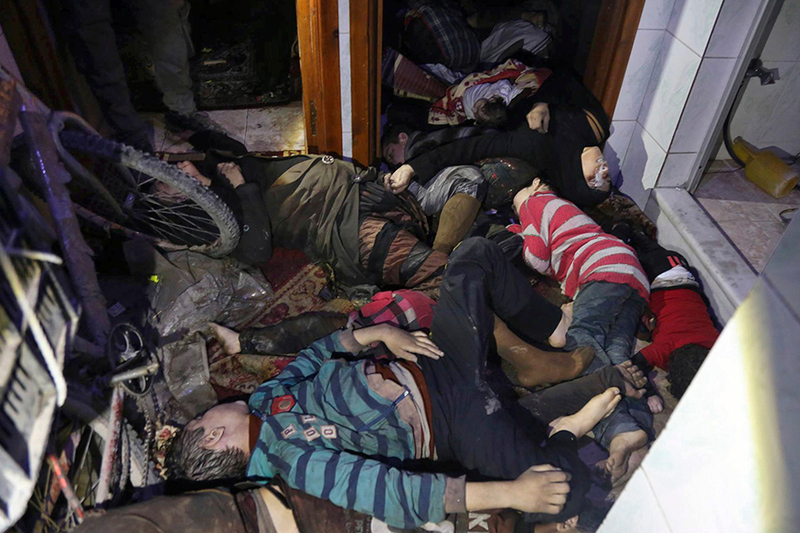 by Bashar al-Assad's chemical weapons attack. VietPress USA (April 14, 2018): One year ago, when President Donald Trump welcomed Chinese President Xi Jinping to visit him at Trump's Mar-a-Lago estate on Thursday, April 6th, 2017 for two days summit. Right at the dinner party, President Trump ordered to launch 59 Tomahawk missiles from U.S. Warships into Syria and destroyed almost 60% of Shayrat air base near Homs where Bashar al-Assad’s military airplanes took-off to carry chemical weapons for bombing and killing hundreds Syrian civilians in a rebel-held area on Tuesday, April 4, 2017. Last Saturday, 4/07/2018, Syrian President Bashar al-Assad used again chemical weapon to kill dozens of Syrian civilians in Douma outside Damascus and killed at least 40 children and women, injured hundreds others. On Sunday, April 8th, 2018, President Trump accused Russian president Putin, Russia and Iran government for supporting "animal al-Assad" over using chemical weapons against Syrian civilians. After Trump's accusation, report said that the T-41 air base in Homs of central Syria got missiles striking. Syria claimed U.S. fired missiles, but the Pentagon denied this. Russia blocked GPS system on some US small drones to stop air strike over Syria. President Donald Trump on Wednesday 4/11/2018, official warned Russia that he will direct an air strike at Syria in response to last week’s chemical attack and chastising the Kremlin for its support of Syrian President Bashar al-Assad. Friday night, April 13, 2018 at 9:00PM EST (1:01 AM GMT), President Trump said he already ordered precision missile strikes against the regime of Syrian dictator "animal al-Assad" in a coordinated attack with U.K. and French allies to response the use of chemical weapons for mass killing Syrian civilians in the town of Douma last week. 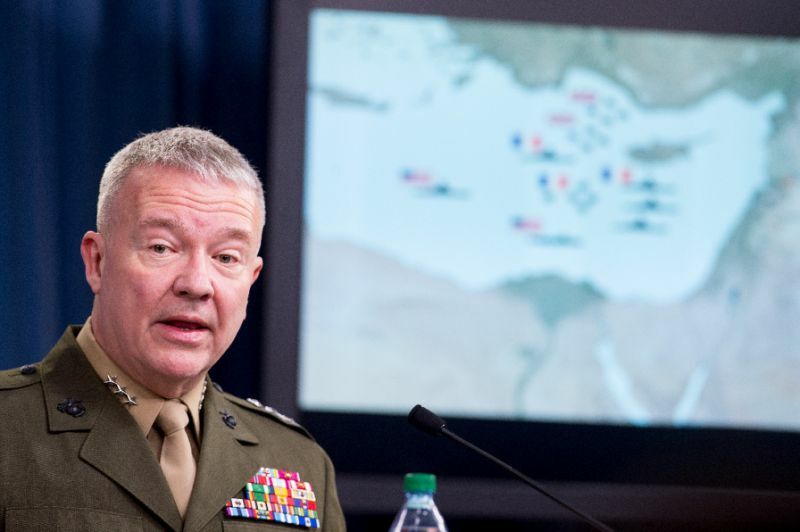 Today at a Pentagon press conference on Saturday, April 14, 2018, Lieutenant General Kenneth McKenzie said that a joint US-British-French operation against Syria's regime had "successfully hit every target"
The joint operation used ships, a submarine and warplanes to launch at least 105 guided missiles towards three chemical weapons facilities in Syria, including a research center on the outskirts of Damascus. Syrian National TV announced Syrian Air Defense shot down 13 missiles. The Russian military said that 103 cruise missiles were fired including Tomahawk missiles, but that Syrian air defense systems managed to intercept 71. Lieutenant General Kenneth McKenzie countered that "the Syrian response was remarkably ineffective in all domains." Washington (United States) (AFP) - The Pentagon said Saturday that a joint US-British-French operation against Syria's regime had "successfully hit every target," countering assertions from Russia that dozens of missiles were intercepted. 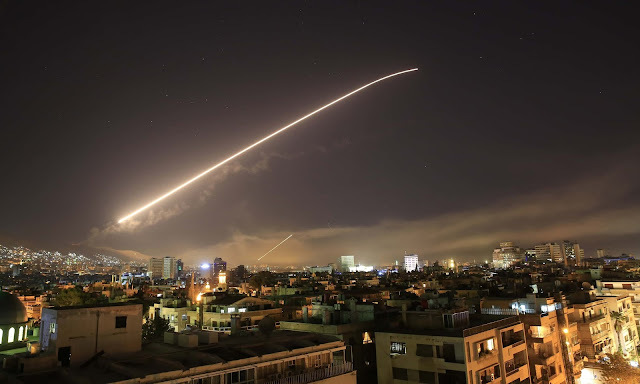 The strikes "will significantly impact the Syrian regime's ability to develop, deploy and use chemical weapons in the future," said Lieutenant General Kenneth McKenzie, director of the US military's Joint Staff, though he noted a "residual" element remained. "I'm not going to say that they are going to be unable to continue to conduct a chemical attack in the future," he said. "I suspect, however, they'll think long and hard about it based on the activities of last night." 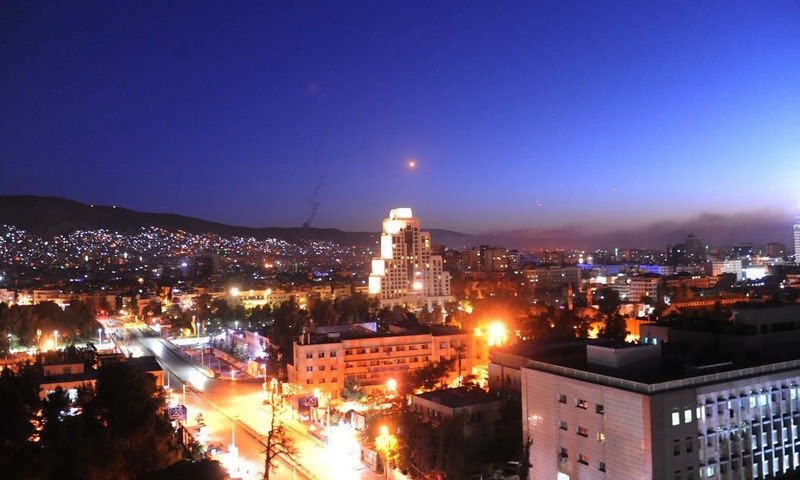 The missiles hit their targets within a minute or two of each other, McKenzie said, striking around 4:00 am Syrian time (0100 GMT). The overnight operation was the culmination of a week of frenetic planning at the Pentagon, with officials weighing the risks of various targets as President Donald Trump sent out mixed messages on what he wanted to do. "All the options looked at ways to balance minimizing collateral damage against maximum effect. These three targets seemed to hit the sweet spot and do that," McKenzie said. He said there were no known civilian casualties, but noted Syria had fired about 40 unguided surface-to-air missiles, most of which didn't launch until after the allied strike was over. These missiles may have come down in populated areas, he said. The Russian military said that 103 cruise missiles were fired including Tomahawk missiles, but that Syrian air defense systems managed to intercept 71. McKenzie countered that "the Syrian response was remarkably ineffective in all domains." According to US officials, the operation comprised three US destroyers, a French frigate and a US submarine. The vessels were located in the Red Sea, the Gulf and the eastern Mediterranean. The US Air Force fired air-launched cruise missiles from B-1 bombers, and French and British planes also shot cruise missiles toward the targets. The operation was "precise, overwhelming and effective," McKenzie said, adding it will set their chemical weapons program back "for years." "We successfully hit every target," she said. "The strikes were justified, legitimate and proportionate."